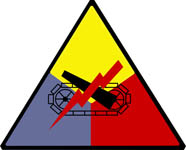 A young man from Spencer, West Virginia was an infantryman with the 20th Armored Infantry Battalion, 10th Armored Division, and served with the 10th AD from training at Camp Gordon, through the landing in Cherbourg in 1944, at Metz and at the "Battle of the Bulge" where he was taken prisoner by German forces in the early days of the offensive. He languished in Stalag IV-B Muhlberg, suffering from the cold, malnutrition and pneumonia, but he survived and made it home to finish his military service, get an education and raise a family. That young man from Spencer who served with the 10th Armored Division and survived a German Prisoner of war camp was my hero, my mentor and my friend...but first and foremost, he was my father. 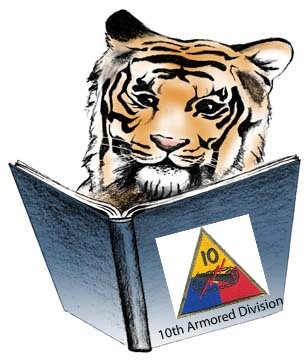 This site is dedicated to my father's memory and to the memory of all of the soldiers of the 10th Armored Division. It is also dedicated to the soldiers who survived the German P.O.W. camps, and those that did not. Most of all it is dedicated to the service of every veteran who has fought to preserve our way of life, especially those that paid the ultimate price. 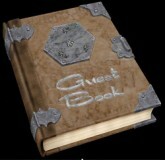 See what others have said or leave your comments in the guestbook. Due to spamming and hacking, the guestbook has been shut down. I appologize to all who have made legitimate entries. I treasured all of them. It may be reinstated if I can find a secure version. Thanks again to all that contributed their stories! World War II Veterans Memorial, Washington, D.C. Since this website is a work in progress, it will be under construction for some time as refinements and additions are made. Check back for new information. The webmaster welcomes any information, pictures, documents, etc. that will add to the historical record, and pay tribute to the men of the 10th Armored Division.